Executives and entrepreneurs from established firms and start-up ventures will share know-how and tips with at the World Travel Market London/ Genesys Digital Transformation Summit. Organised by Paul Richer, founder and senior partner at travel technology consultancy Genesys, the summit will take place on 8 November and is split into two one-hour sessions. The first session, called Established Players Make Good, will feature traditional travel companies which are successfully making the transition to become mainstream players in the digital world. That session will be followed by ‘New Entrants and New Business Models’, with speakers from start-ups which have launched trail-blazing tech businesses. Speakers in the first session are Franck Gervais, Chief Executive at Voyages-SNCF; Claire Hazle, Director of Marketing and E-Commerce at Cosmos, Archers Holidays and Avalon Waterways UK; and Daniel Wishnia, Director of Digital Promotion and eCommerce Manager at GCH Hotel Group. Gervais has been CEO at Voyages-sncf.com – the official European distribution channel of the French railways (SNCF) – since December 2014. In 2015, the company turned over €4.3 billion, selling 82 million transport tickets to 12 million international travellers – and this year it met the challenges of Euro 2016, with an estimated 30% increase in capacity on the network during the football tournament. Hazle worked at Carnival as head of digital between 2011 and 2014 before taking up the head of digital role at Marie Curie UK, leading both organisations through a digital business transformation. She took up her latest role – a newly created position – in June 2016 to help Cosmos, Archers Holidays and Avalon Waterways UK to target significant growth. Last year, she ranked 45th in The Drum Digerati, an annual celebration of the 100 most influential people in the UK’s digital marketing industries. Wishnia has been at GCH Hotels – one of the leading hotel management companies in Europe – since 2010. With 130 hotels in Germany, the Netherlands, Belgium, Austria, Cyprus and the UK, GCH has more than 15,500 hotel rooms and welcomes more than three million guests annually. In March 2016, GCH created a virtual reality portal so users can see all the group’s hotels in a three-dimensional virtual space. The second session, focusing on new entrants, will feature travel industry veteran Carl Michel and tech entrepreneur Suzie Barber. Michel is Chairman at Veeve, a fast-growing London-based luxury home rentals business. He was CEO of Holidaybreak plc from 2005 to 2009, and has also had senior roles at British Airways, Deutsche BA and Opodo. Barber is Co-Founder at Hotelbonanza, a new online travel agency promising to “put the power back into the hands of the accommodation providers” by offering a fixed rate of 8% commission. She has worked in hospitality since 2009 and was previously a journalist. Genesys’ Richer said: “Digital transformation is the main goal for every travel and tourism organisation, as today’s consumers are online and increasingly savvy – shopping around for the best value they can find. WTM London, Senior Director, Simon Press, added: “Founded more than 21 years ago by Paul Richer, Genesys has remained at the forefront of developments in the digital world. Indeed, Genesys’ recent re-branding stresses that it is in the business of digital transformation. 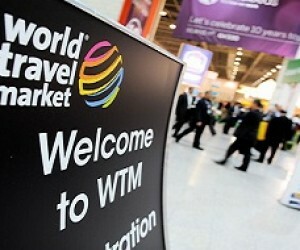 WTM London, the leading global event for the travel industry, is the event where the travel and tourism industry conducts its business deals. 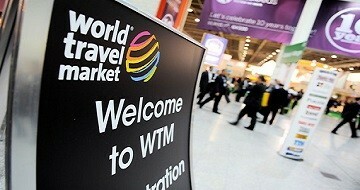 Buyers from the WTM Buyers’ Club have a combined purchasing responsibility of $22.6 billion (£15.8bn) and sign deals at the event worth $3.6 billion (£2.5bn).